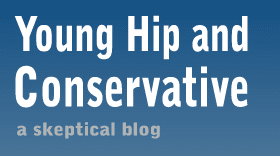 Young, Hip and Conservative: a skeptical blog: Is corn syrup actually bad for you? I've been hearing this line for a long time - high-fructose corn syrup supposedly causes a more damage to your body over other sweeteners, and the solution is to ban it or pay more for cane sugar-sweetened foods. It's supposedly an ingredient in most foods because American corn subsidies makes the syrup cheap - that's why we don't see it in Canadian and Mexican versions of Pepsi, for example. That ignores the longstanding impact of sugar quotas, which allows the American sugar oligarchy to charge high prices for cane sugar. Imported sugar comes with higher tariffs the more that's imported, a blatant form of protectionism. Canadian and Mexican soda makers don't have the quotas as well as the subsidies. People are right to oppose corn subsidies, as well as the related ethanol subsidies that caused the 2008 global food crisis. Agricultural subsidies need to go away. But so do sugar quotas. What I'm not sure about is the validity of the anti-corn syrup mob chants. For a long time I thought it was activists making a big deal about a minor difference. Perhaps high-fructose corn syrup was ever-so-slightly worse for you than sugar. Big deal, that problem can be tolerated if the price is low enough. Thanks to market forces, the food police have the option of buying sugar cane versions of products if they want to pay. My position was challenged after reading this piece from the Center for Consumer Freedom about it being a myth pushed by the sugar oligarchy, as well as a few other pieces. I am not an expert in nutrition science, and a lot of the anti-corn people swallow the organic, locally-grown all-natural food worldview that I know has major flaws. So what is the best science, from a neutral perspective, on high-fructose corn syrup? I did a search on ScienceBasedMedicine.com and found a piece that said the issue is nonsense. The fructose levels, the chemical the activists claim is so bad, is also found in equal amounts in the alternative sweetners, including all-natural honey. So yes, high-fructose corn syrup is bad for you, as is cane sugar, honey and agave syrup. As an aside, there are claims that cane sugar makes sodas taste better and more refreshing. 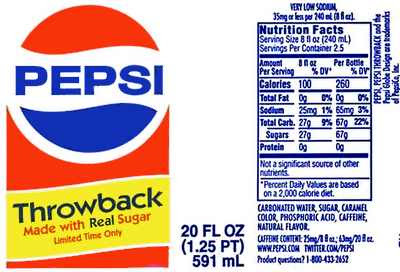 I bought this argument for a while until I tried a few cane sugar root beers, and later held a blind taste test of regular Pepsi and Pepsi Throwback. I didn't notice any difference, and the fifteenish people in my experiment couldn't tell which was which. I paid $5 for a Coke made with cane sugar on Kilimanjaro. (I didn't realize it would be that much when I said I would take it - the last price was $2, but that was many thousands of feet lower.) The altitude may have had an impact on the product, but from what other members of my hiking group said of their lower-altitude samples, the taste was significantly different. That doesn't necessarily mean it was the sugar cane that made the difference - most of the product was produced somewhere in Africa, possibly Tanzania - but I suspect it was a major contributor. It wasn't bad, and if I was accustomed to it I would probably prefer it, but I certainly thought it was different. I would think it would release more carbonation at higher altitudes. Have a better "head", be more effervescent. Certainly would have a large effect on the taste. I was about to add that one problem with the high fructose corn syrup ads is that they promote its use as being quasi-healthy. To an extent they do, but I was surprised to hear them say that it was "fine in moderation". I still don't like the promotion of an unhealthy product, but kudos to them for honesty. I agree with you it's not healthy, but what's relevant is how healthy it is compared to the alternative - and the alternative is no better. As for you believing the sugar cane soda tasted better, that is always possible, but you have to remember your expectations factor in to how things taste. Being in glass bottles seemed to make Coke taste better for me as a kid.